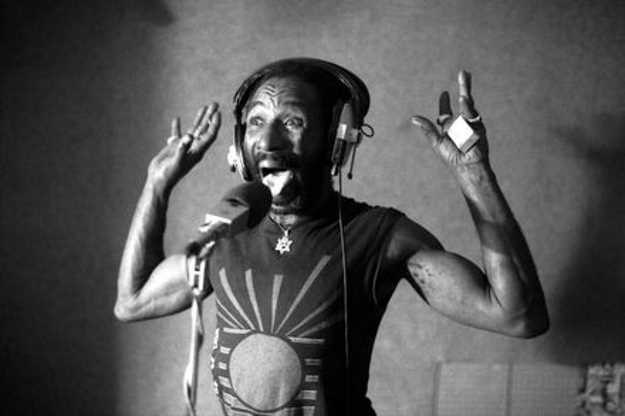 Lee "Scratch" Perry, the eccentric elder statesman of dub reggae, will celebrate the 45th anniversary of the Upsetters' Blackboard Jungle Dub LP with a tour this fall. He will be accompanied by his backing band, Subatomic Sound System. The tour runs from October 12th through the 31st and focuses on the West and East Coasts. Tickets are already on salefor the show billed as "the world's first dub album live for the first time." When the LP came out in 1973, a few short years after the first Upsetters record in 1969, it was credited as being "produced and directed by Upsetter L. Perry." The record features Perry working with King Tubby and an overall loose vibe with melodica, trombone and trumpet adding melody to Perry & Co.'s skanking percussion. A short documentary, via Dangerous Minds, from 2009 traced the history of Blackboard Jungle to dubstep music. "Dub is the shadow of the song," producer Bill Laswell once explained in a Rolling Stone article about Perry. "It is the ultimate beginning with no ending,"
"You could never put your finger on Lee Perry - he's the Salvador Dali of music," Keith Richards said in the same article. "He's a mystery. The world is his instrument. You just have to listen. More than a producer, he knows how to inspire the artist's soul. Like Phil Spector, he has a gift of not only hearing sounds that come from nowhere else, but also translating those sounds to the musicians. Scratch is a shaman."